Colin’s Angelfish is a rare, cryptic dwarf angelfish which is infrequently offered in the aquarium trade. It is often from deeper waters, so take your time acclimating it to bright reef lights. It is peaceful and timid but aggressive toward other dwarf angelfish that are not its mate. House this shy fish with only other peaceful fish. 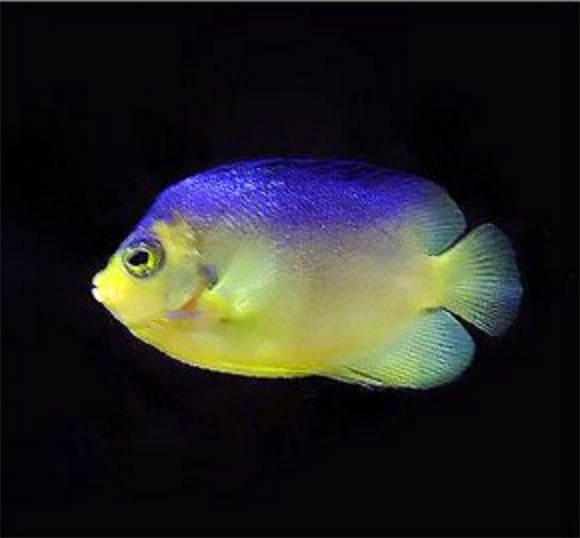 This species is better suited to reef tanks than other dwarf angelfish. Use caution when housing this fish with corals; it may eat or damage corals, clams, and some inverts. Provide plenty of algae in its diet and also offer meaty foods like enriched Artemia, frozen mysis shrimp, and plankton.